It is exactly a year ago today that Abi came downstairs looking pale and complained she felt really ill. Exactly a year since our world was turned upside down and inside out. I never really imagined what this day would be like, despite people telling me ‘all the anniversaries will be hard’. Anniversaries? Anniversaries are a time to celebrate or commemorate something. A time to think of only that person or event, which you can forget about the rest of the year. 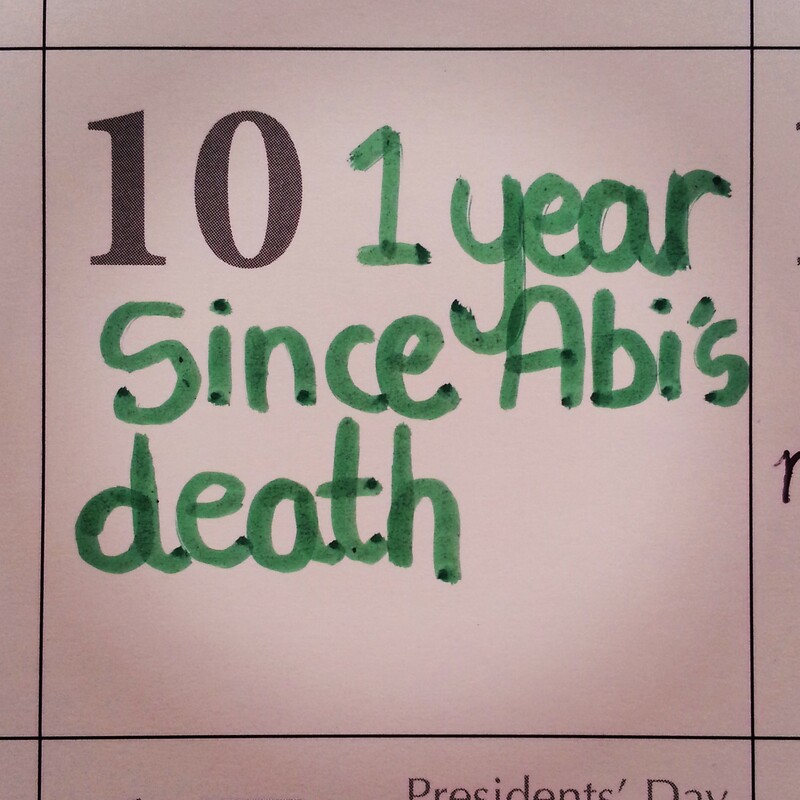 It’s not an anniversary of a year without Abi, it’s an anniversary of the day our entire world was shattered by something so totally unpredictable and traumatic. I’ve thought of her and of what happened that day every day since. I’ve had numerous blips, tears or total breakdowns each day trying to believe that what happened was real. To reach the first anniversary of the night she collapsed and passed into a coma in my arms feels so hard to believe, but yet it stabs in my heart to think we are still living our lives without her. I look back through the photos we’ve taken this year and seem to have forgotten everything we’ve done as a new, smaller family. We’ve had some lovely and special days together but I feel a painful mixture of guilt, confusion and happiness to see them. I feel guilty that to others we look like a normal, happy family of four in our pictures. I’m confused as I can’t remember half the stuff we’ve done as it feels as though time has stood still. I feel happy we’ve been blessed with the hope of a new baby. There’s so much going on! I must admit that I found the prospect of Abi’s 13th birthday, Christmas time and day, and New Year harder than this first anniversary. I expect this is because a death anniversary is not normally a day for celebration or family gatherings, whereas we’re used to marking birthdays and Christmas. I’m deterred from marking this anniversary and don’t really know how to do it. I don’t want to feel made to remember the trauma of that night, those few intense days in hospital and then her death. I live those days constantly, my memories are not neatly reserved for now. There is also some confusion over the dates. As far as my husband and I are concerned, she died on 6th February. The doctors reluctantly agreed the same, as she had such a catastrophic, instant bleed on the brain that it was only the machinery keeping her alive in the end. Yet we turned off her life support on 10th February, the date on her death certificate and memorials. We’re left with four full days of ‘anniversary’ and that feels hard. And it’s not just a few days either, as the whole month of February is sad for me now and I’m very pleased that it’s the shortest month of the year. Will it be this way every year? Officially, we’ll mark the 10th, but the 6th will be our private date. In some ways it means we have a day just for us, and gives us time to prepare for the main day. But then I also, almost selfishly, wish it were simpler than this, but I expect many people are in a similar position and will remember a day that sticks in their mind which might differ from the actual date of death. In fact, when the midwife told me our baby would be due on 6th March, my first thought was that it was exactly a month after Abi died (which I believe God had something to do with too… He has made sure we’ve got through the first full year without her before welcoming a new member). I’m not keen to become obsessive about anniversaries. I won’t be remembering the dates of her funeral or interment for example; well, I will give it a thought this year, but I won’t be marking these dates in any way or expecting others to – this is hard enough without reliving every moment every year. This first anniversary period, my husband and I will spend time together, keeping life fairly routine and trying not to let the memories of those days depress us. 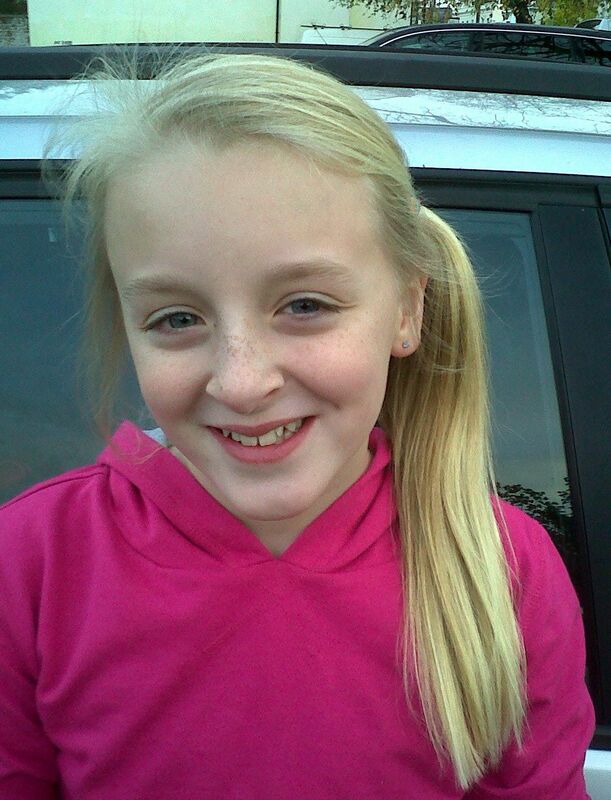 We will most certainly grieve even more as we remember what we did on each day, and we’ll spend time at Abi’s memorial. I’ve bought her a new baptismal candle (as we used the original during the time before her funeral), and we’ll light this for a short time each night. But, with the baby almost here, we’ll also try to look forward and prepare, and thank God for the distraction. Last week, I gently reminded my son and daughter about the anniversary. I told them that Mum and Dad will be sad and might cry because it’s the time of year that Abi died. They both went quiet, they understood. I was surprised as I was expecting a groan but later I saw my daughter’s calendar and strangely felt such comfort from it, knowing she didn’t mind remembering – that she had marked both days too. They’ll likely be glad just to get a day off school, but I have to remind myself that that is a good thing. It shows that they aren’t haunted by that terrible time, that they’re able to take it in their stride. 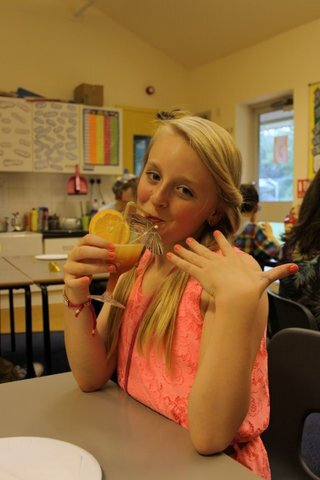 I’d like people who knew Abi to remember the last fun time they had together with her, to remember her for the great things she gave them, not for the terrible illness which took her. Despite the sudden fatality of her haemorrhage, we take comfort knowing she was not aware how ill she was, the suddenness of it meant she did not suffer, and she was free of fear and worry… it breaks my heart to say, but it could have been so much worse and, while I would give my own life for hers, I have to be thankful for that. This picture was taken the night before Abi collapsed. This is how I like to remember her last day in this world… getting involved in something. She is made up as a geisha girl, for a languages show at her school. She’d been practising the dance for weeks with her friends and right up to the night we weren’t going to go and watch, but that day she got us some tickets. 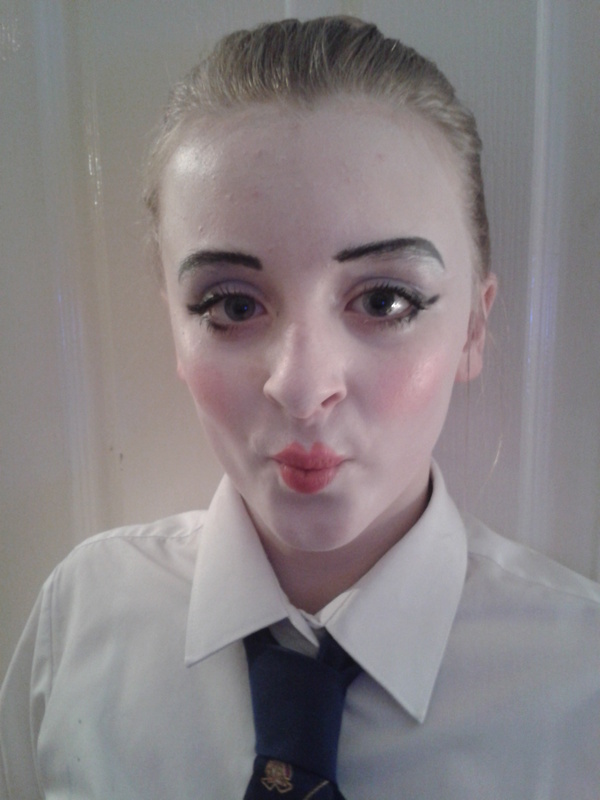 I’d just done her make-up before leaving and snapped this photo. Getting us all there late at night was a bit of a hassle but, boy, are we ever glad we did! I almost cried with pride to see her on the stage, being wonderful and having fun. I still have the clip I took on my phone (which I just can’t watch yet). It made what happened 24 hours later all the more harder to believe. This entry was posted in Life with grief, Living and grieving, Remembering Abigail, Special days and occasions and tagged anniversary, brain haemorrhage, death of a child, family, funeral, grief, life, mother, remembering by Chasing Dragonflies. Bookmark the permalink. I can’t express the depth of pain I feel. My mind is prickling and numb just like it was, this night, a year ago. Not believing what was happening, trying to make sense of what we were being told. I remember very clearly every second of this night. 6th February 2013 Our lives changed forever. It is already the second anniversary of this horrible day. 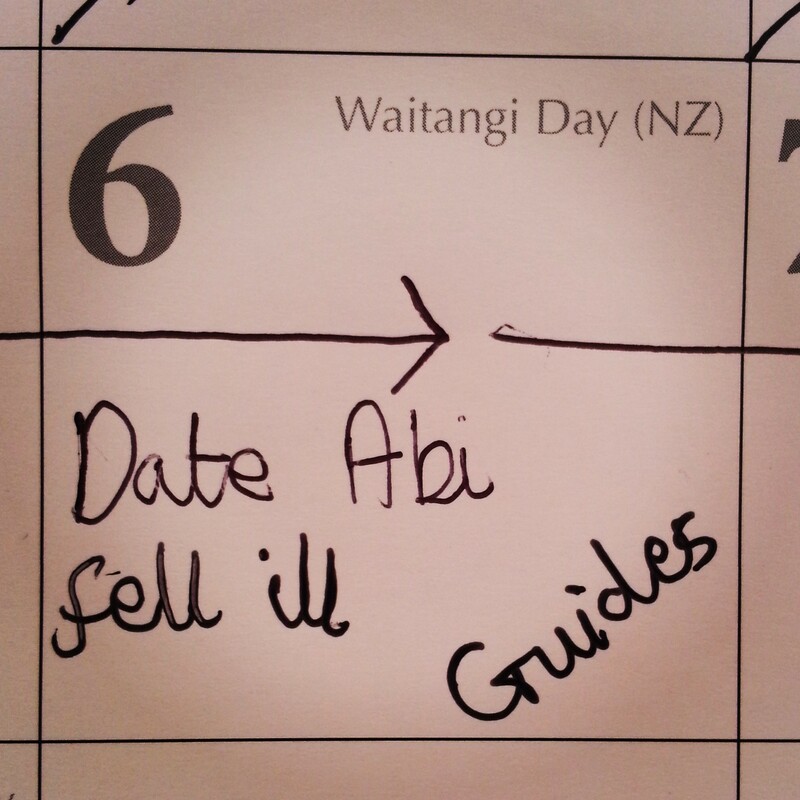 Two years of trying to live a new life without Abi with us, yet she still feels so close. I wanted to reshare this as it sums up the day our world fell apart. So sorry for your family. There are no words. I have been struggling to write a comment because there is nothing I can say to make this any better for you but I wanted to to know that I’m thinking of you all. Sending love to you. I’m thinking of you all. 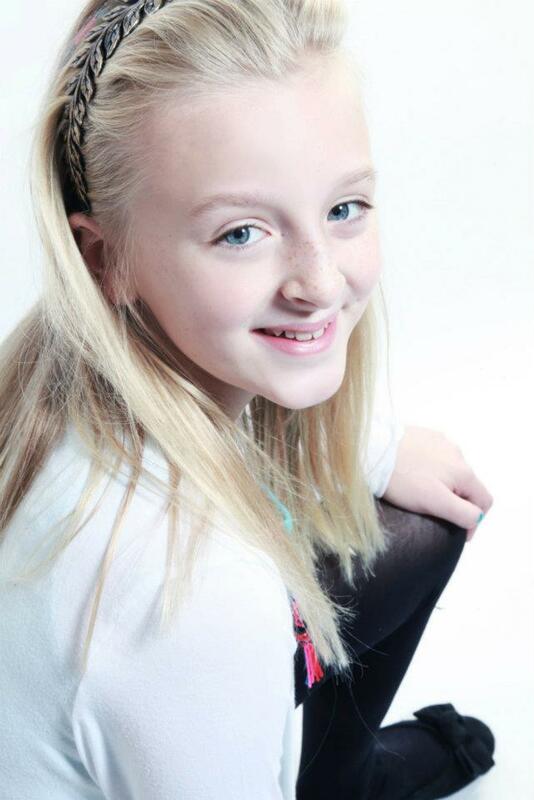 Lovely photos of your beautiful Abi. You have always written with such compassion and clarity and paint your picture of grief so heartbreakingly accurately. I am also in this club that no-one wants membership of.